Indie Retro News: Ultimate Play The Game : Pentagram - Final port release for the Atari 8bit! 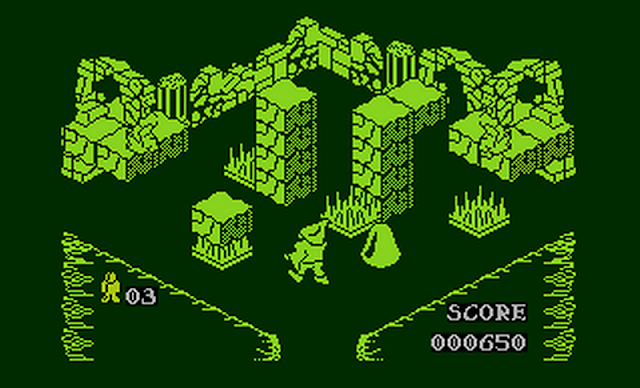 Ultimate Play The Game : Pentagram - Final port release for the Atari 8bit! 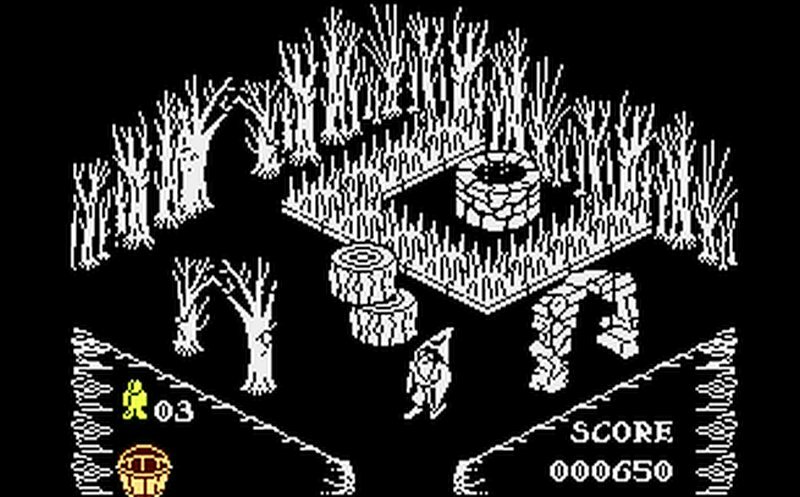 This is just madness, in just one week we've had the classic Manic Miner released for the Atari XL/XE, Ocean Software's 1987 isometric hit game 'Head Over Heels', which was remade for the MSX2, and now Ultimate Play The Game's 1986 of ' Pentagram ', has finally been released as a port for the Atari 8bit by Mariuszw. If you don't remember the game Pentagram, It is the fourth in the Sabreman series, following on from his adventures in Sabre Wulf, Underwurlde and Knight Lore and was played in an isometric viewpoint. 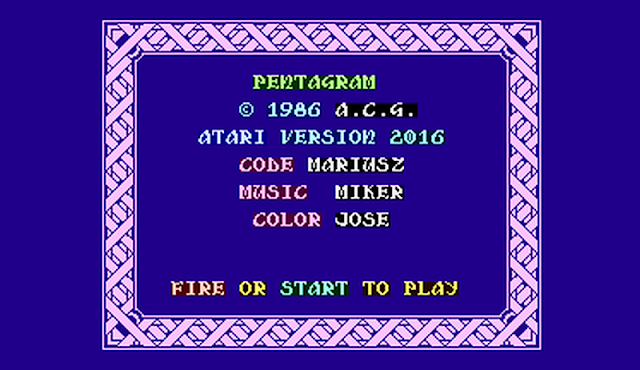 Unlike the previous version which was released for testing, this one is bang up to scratch for the Atari 8-Bit, as not only does it feature some great tunes from Miker, but also PMG overlays together with a great loading screen from Jose. But the port creator has also created a trainer for anyone that finds the game too difficult, which includes unlimited lives, invincibility and more. In terms of what this game requires for specification, it does need at least 64KB of RAM, but is NTSC-aware and applies proper timing for music routines. Game is also compatible with 65816 CPU upgrades and synchronizes gameplay correctly. Testing on Altirra reveals that 3,58MHz 65816 is able to run game without slowdowns. However, sound effects do not play correctly with faster CPU. As for any further graphical updates and any improvements needed, especially if you're not happy with the way the game looks, the creator has made available the game source code with all assets!